Janska Valley, one of the most beautiful valleys in the Low Tatras, belongs among the popular tourist centres in Slovakia. 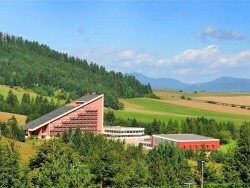 Tourists come here to spend the holidays not only in summer when the valley is an ideal place for hiking, but also in winter when skiers can enjoy the slopes of the resort. One of the longest valleys in the Low Tatras can be found close to the village of Liptovsky Jan, lying in the region of Liptov, about 7 km from Liptovsky Mikulas. 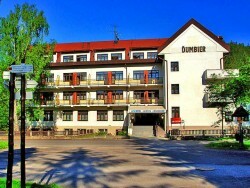 Mouthing right here at the village, the Janska Valley extends even to the northern slopes of the highest hill of the Low Tatras - Dumbier. Below it the stream Stiavnica stems and flows through the valley where a stream of water made amount of karst cavities, abysses and caves. Thanks to the natural beauty the Janska Valley is a popular site for summer hiking. You can see waterfalls during walks through spruce forests. Underground karst formations can be seen in Stanisovska cave which is open to the public. Hiking trails will lead you to the hills of Chopok and Dumbier or you can go to Demanovska Valley or to the karst plateau Ohniste with a rock formation called Okno. 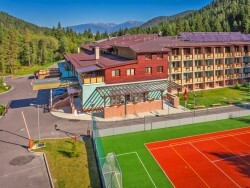 During recreation in the valley you have a opportunity to enjoy the thermal water in the swimming pool Sorea at the hotel or in a natural spring on the outskirt of Liptovsky Jan. 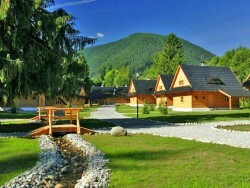 In winter the vacationers and winter sports lovers are attracted to the valley especially by the Ski resort Javorovica. 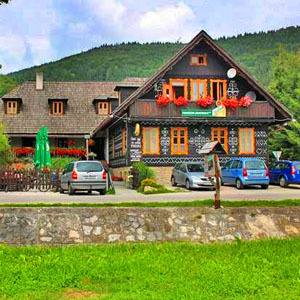 Accommodation options in Janska Valley are wide and there is no shortage of any type or category. A comfortable hotel or luxury apartments for those who like to enjoy comfort and convenience during a holiday. 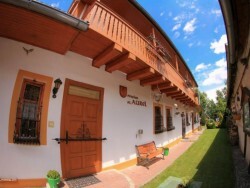 Pensions of different categories can be found right in the valley as well as in the village of Liptovsky Jan. Hostels and private apartments provide budget accommodation and a romantic stay in Janska Valley can enjoyed in one of the many cottages situated in a quiet forest. 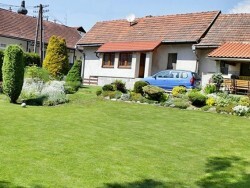 We believe you spend a pleasant holiday moments in this recreation resort in the region of Liptov. 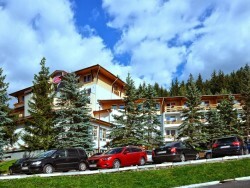 Apartment house right in Liptovsky Jan is located in a quiet place by the stream. 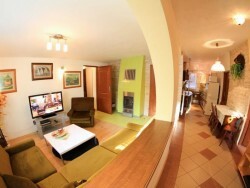 It consists of three double bedrooms, living room, kitchen area, three toilets and three showers. Living room with a fireplace has an LCD TV with satellite channels and a DVD player. The apartment is equipped with WiFi internet access. The area inludes also a garden with gazebo and fireplace. Parking for guests is in the closed area.